By now you may have heard about the trendy pegan diet that’s attempting to replace keto as the new-new in the nutrition world. Even if you know relatively nothing about this diet, you may recognize that its name sounds oddly familiar. There’s a reason for that. In fact, the diet, which was coined by Dr. Mark Hyman from the Cleveland Clinic, blends elements of the also-trending paleo diet with the vegan diet. “The paleo diet, which proponents believe mimics the diet of early humans, focuses on non-starchy vegetables, meat, eggs, and fish with limited amounts of fruit, nuts, seeds, and oils,” explains Christen Cupples Cooper, Ed.D., R.D.N., assistant professor and founding director of the Nutrition and Dietetics Program at the College of Health Professions at Pace University. Unlike a vegan diet, which focuses solely on plant-based foods and avoiding all meats and animal byproducts, Cooper explains that the pegan diet takes the whole-food, plant-food emphasis of both diets. It encourages people to incorporate vegetables in two-thirds to three-quarters of their meals. “To compensate for protein, the pegan diet allows for smaller portions of meat, fish, and egg,” Cooper says. Who is the pegan diet meant for? Of course, eating a diet that eliminates all processed foods and replaces them with ingredients that are considered best for health is ideal for almost everyone. However, Elizabeth Ward, M.S., R.D., author of Expect the Best: Your Guide to Healthy Eating Before, During, and After Pregnancy, points out that this eating plan may be difficult for athletes who require a higher protein intake. She also does not recommend the pegan diet for pregnant or breastfeeding women. It may be difficult for them to retrieve enough calories, protein, and other nutrients. “Those who really don’t like a lot of plant foods won’t do well with the pegan plan. And those who love whole grains, dairy foods, or both may miss them,” she adds. If you’re considering giving the pegan diet a try, here’s a complete guide on how to pull it off efficiently. Choose mostly seasonal vegetables and fruits. Plant foods should account for 75 percent of your food intake. The other 25 percent of your food intake should come from high-quality animal protein, according to Ward. These include eggs, grass-fed beef, and healthy fats, including olive oil. “Plant foods such as nuts, seeds, and beans provide protein and fiber as well as a slew of vitamins, minerals, and phytonutrients,” she adds. Gluten is off the table. The pegan diet doesn’t allow any gluten-containing grains. These include whole-wheat bread, cereal, and pasta. In addition, Ward points out that you can have gluten-free grains such as brown rice, quinoa, and oatmeal. However, you can only eat half a cup or less at meals. “Any eating plan that incorporates such healthful foods can help you lose weight, especially if you eat fewer calories than you burn,” Ward says. “It might be easier to shed pounds on the pegan plan if you typically overeat refined grains and added sugars, which are not allowed on the diet.” She also mentions that some people find that their cravings for these foods diminish as they eat less of them. The pegan diet, while trendy, is certainly one of the healthier, more easily sustained diets out there now. It’s not too restrictive in nature. If you can stick it out without processed foods, you’ll likely experience some seriously positive physical benefits. 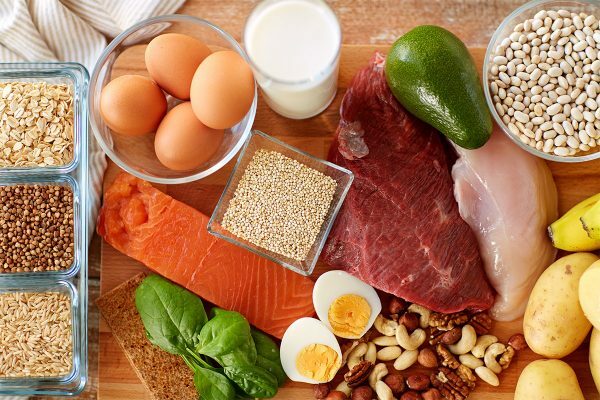 From warding off infection to building muscle, here’s your need-to-know on protein.